In Space No One Can Hear You Loot! Space might be the final frontier, and no one will hear you scream about how good this game is. But, you are safe to explore my Everspace review as the game is now available on PS4 following an Xbox One and PC release last year. 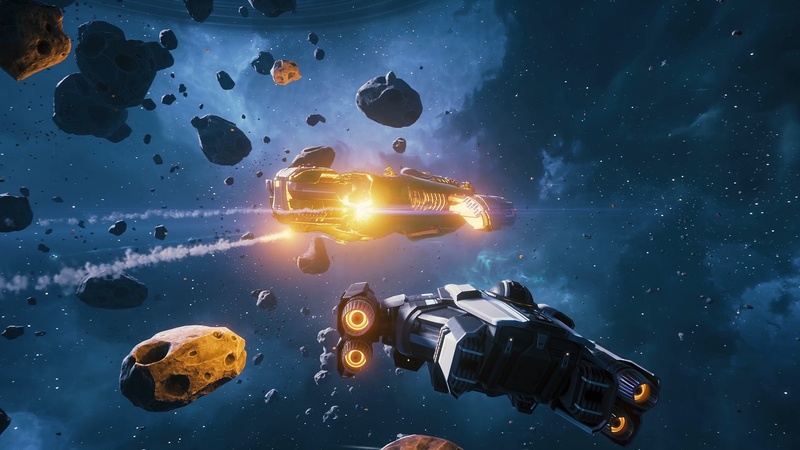 Developed and published by Rockfish Games, Everspace is a Roguelike space adventure indie game. One that you really do want to think about picking up if all those things work for you. The traditional go out, shoot & loot until you die gameplay mixes with a light story of what’s happened to your character. But the big winner here is the gameplay and visuals. They are what you’d expect of an AAA game, rather than an indie developer. Read my full review below to see if Everspace is for you. From the moment you launch out into space the control and feeling of being in your ship draws you right in. You have a sense of freedom that I personally want to have in a game set in space. It’s easy to move around as you move between the areas of interest around you, and then boost over to the next locations by focusing on the green warp points. And of course, you soon get into dogfights out there. There are bandit ships that will come for you and your resources as you explore space. Plus neutral companies out there you really don’t want to get on the wrong side of. Not until you have some serious upgrades anyway. Mainly you are hunting down better weapons and resources to upgrade your ship so you can survive longer. Each time you get blown to bits you return to the hangar and upgrade all aspects of your vessel. There are an impressive amount of upgrades available and different ships to get with your resources. From shields to your weapons and even cool new ships, there is a lot to keep you coming back for more. With responsive controls and lots to enjoy, plus a really immersive feel when you pilot your ship, Everspace gives so many reasons to keep playing. While enemy variety and some areas could be more engaging, it’s a lot of fun and nicely addictive. There is no question that Everspace is stunning. Developers Rockfish have done an amazing job creating this universe, and making it look beautiful too. The space setting provides a nice, rich black contrast with stars shining bright. Planets and nebulas bringing in colours for impressive contrast. The detail and shine on your ship selection is just as well designed. Plus particle effects like electrical discharges and things blowing to bits look great. Some of the more impressive vessels are experienced as you go deeper into the universe too, with some really well-designed ships to admire. Not that you can admire anything too long before someone starts shooting! Sound effects are great too with a decent enough voice over for the story elements and an AI assistant. But that said this game is graphically stunning. You can really tell how much the effort the development team have gone into here. And are clearly a bunch of space geeks too. All of which has to be admired! Your main feature of Everspace, like the majority of Roguelike games is to go on runs. It’s wrapped up in a simple story here though as you have lost your memory and are trying to find out what happened before. You appear to have been put into some form of stasis following what happened to you. As you go on runs through the locations in space, hopping from warp point to warp point, shooting and looting. Eventually, you will uncover more of what happened to you. It’s more motivation to play the game than you sometimes find in these Roguelike titles. Although it’s nothing spectacular, it may make you apreciate this genre if you’ve not enjoyed it in the past. For fans of this kind of game, it really helps make it even more addictive to play. Plus there’s even more, to enjoy given the Stellar Edition version has an expansion, Encounters to enjoy. This adds in a lot more content to mix things up with an additional 10 hours of gameplay. The Space Stations are more than worth the additional cost and it really makes this game far more complete. Should You Play Everspace ? 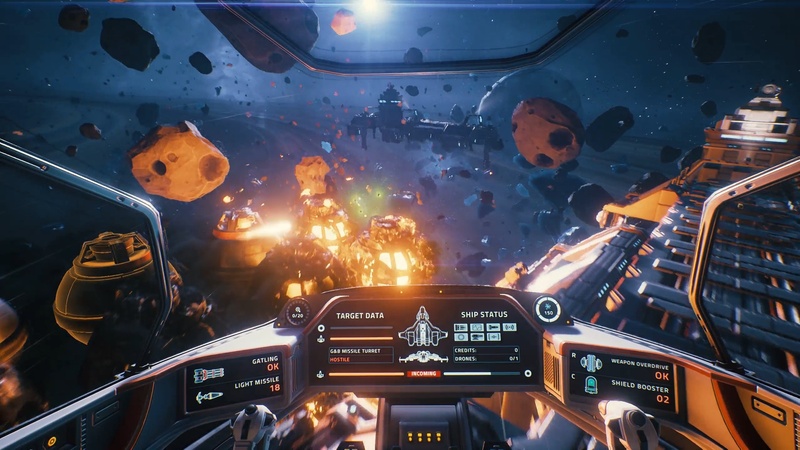 Everspace is a beautiful, addictive and fun Roguelike shooter. It’s well worth adding to your digital collection and I personally will be heading back out there for more. But Rockfish Games have made a very good game here. Considering they have developed and published this themselves, they have set a high standard with this game. We can’t wait to see where they go next. If you are into Roguelike games or you enjoy Star-fighter type adventures this one is for you. To make this fully worth buying though, I highly recommend the Stellar Edition to get the real meaty content here. Given you can load up Everspace and have a bit of fun for an hour or so. it’s a good game for people that don’t get too much time to play in one go (like us gamer dads!). It has a few similarities to Sublevel Zero(Review here) and classic space shooters. You've read our review, and maybe a few others on this title. Are you interested in getting Everspace? Have you already played it? 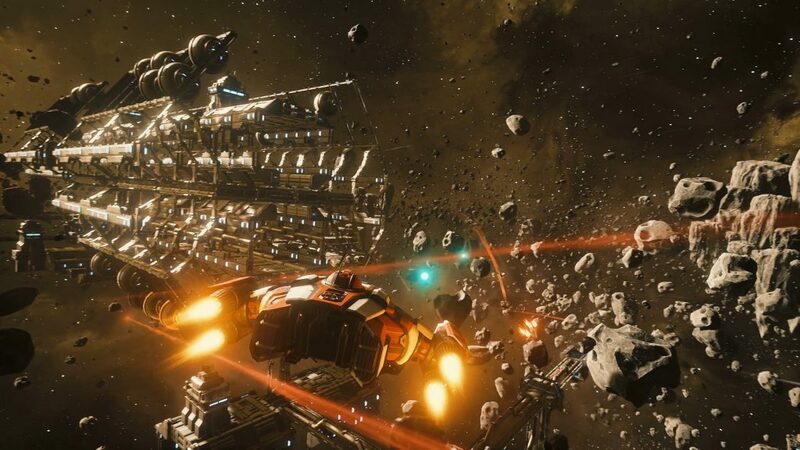 Game Reviewed: Everspace digital edition, provided by the publisher.